KILLINGTON—22-year-old Emily Gorham often turns heads. 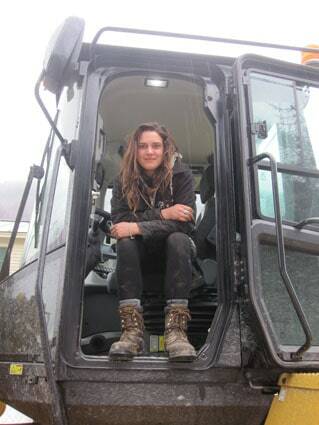 But it’s not because of pink lipstick and high heels, it’s because of what she drives—an excavator. Being young and female guarantees she’ll be a minority on any work crew, but she enjoys the challenge and is proud to be breaking into what she sees as one of the last professional frontiers for women. Having grown up on a horse farm, she learned to operate farm machinery at an early age and took every opportunity to learn about the equipment. The daughter of a real estate agent and a Wall Street executive, Gorham’s interests deviated from the family “norm” quickly, but she was supported on her path. She began working as a flagger in high school and a family friend taught her how to fix her own car. When she turned 18 she earned her Commercial Driver’s License (CDL). Excavating with a front end loader is now her specialty. “It’s the most mentally stimulating,” she said. Gorham then took a job with the state and picked up many additional certifications, including Mine Safety and Health Administration (MSHA), which is required when working in pits, mines, and quarries digging sand for fill. 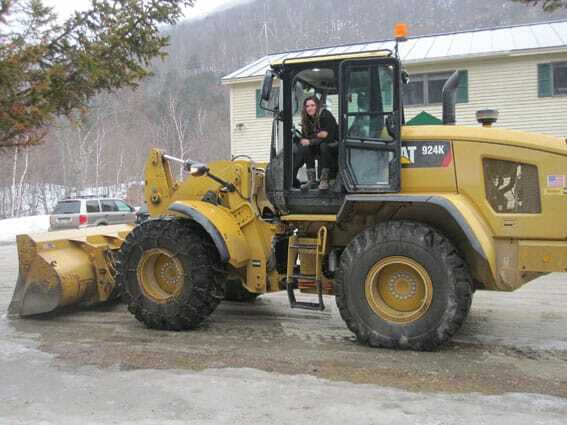 Gorham currently works for Killington Resort in the winter and at Casella Waste Management in the summer, and is also working to get her Civil Engineering degree online, which would allow her to be the foreman of a job site. A few years ago, she had started her own construction business doing contract work but decided to take a break from getting her own company going until she could afford some machines of her own. When asked if she is accepted on work crews, she admitted that it often takes time. But she sees it as a fun challenge, mostly. “I’m very competitive,” she said. She takes it in stride, letting her skills speak for themselves. “I like the guys, I find my place,” she says.